Jamie and I are treading carefully along the sodden towpath to pick up our friend, Robbie. 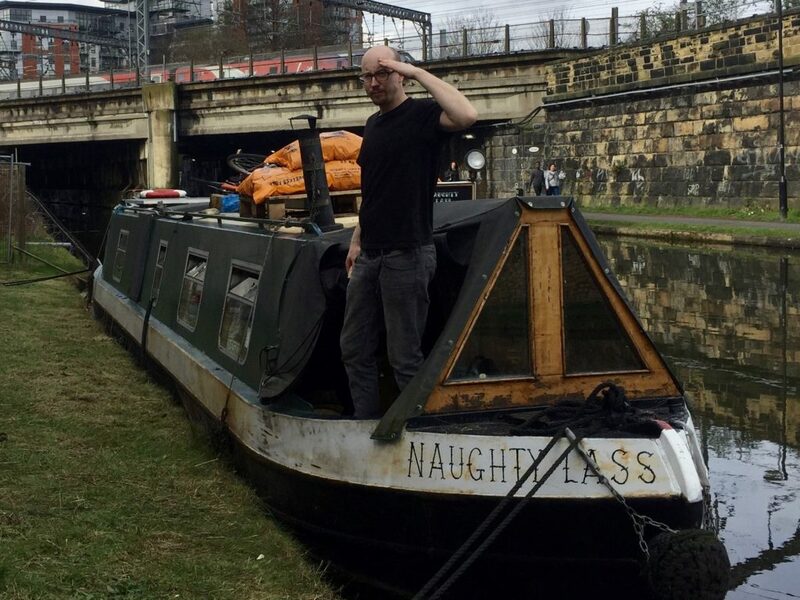 He’s spent almost two years travelling the UK’s canal network on his barge (sorry, narrowboat), the “Naughty Lass”. Unlike our last trip, when we helped Robbie traverse some locks on his way from Northampton to London, we’re not part of the Lass’s crew this time. So, after warming up by the coal burner for a few minutes, we duck through the boat’s little door and jump back onto the towpath. Straight away, we bump into a man with a thick Yorkshire accent, clad in all the latest fishing gear. He’s looking for a good place to cast his line. Soon the conversation turns from bream to beer. A strange claim, seeing as the dry mouth and mild headache I was experiencing was thanks to what I drank last night in bars and pubs not five minutes’ walk from where we were standing in the mud. Stranger still, it was the lure of the Leeds pubs that had brought us 200 miles – and a £70 train ticket – north this weekend. We arrived in Leeds the previous afternoon after taking the train up from King’s Cross. We were here to spend a couple of days drinking real ale and craft beer in the city’s pubs and bars. 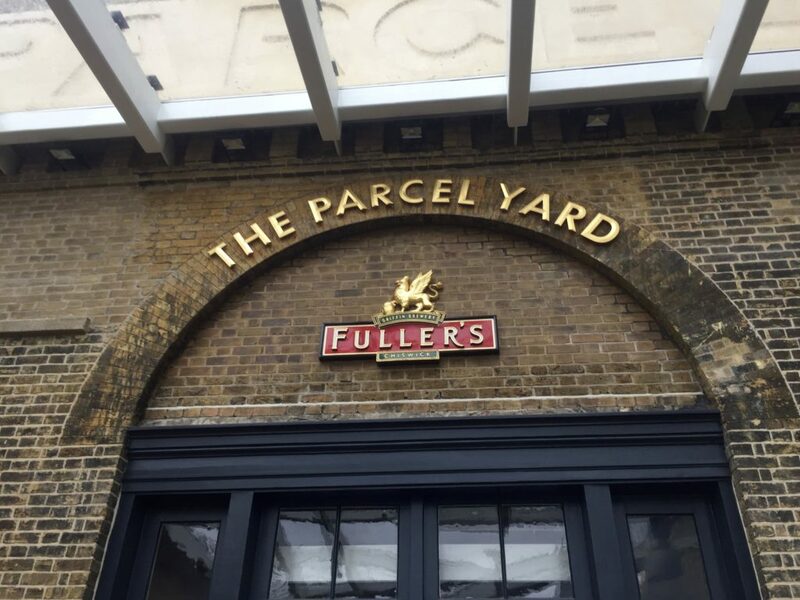 Our weekend began with a quick drink in the stunning Parcel Yard pub at King’s Cross before we got our train. We also had a couple of train beers, naturally. 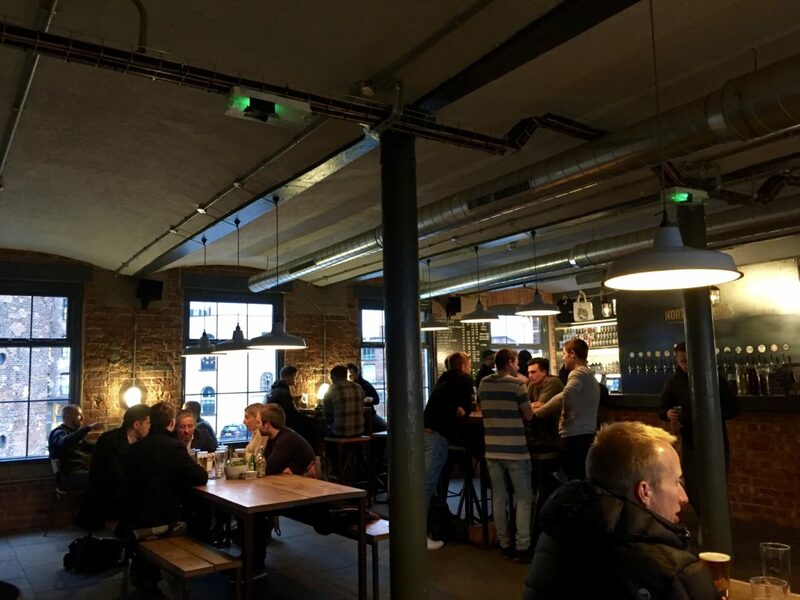 Our first beer in Leeds was at the Midnight Bell in Holbeck, a regenerated “urban village” south of the canal and the city centre. The regeneration of Holbeck is part of the city’s South Bank project. The plan is to convert all the old yards, warehouses and sheds into homes, businesses and leisure facilities. Many of the buildings surrounding the Midnight Bell and nearby Cross Keys pubs have already been turned into swanky apartments and offices. The pub itself is airy and neat, if a little contrived. It’s a Leeds Brewery pub, and four of its ales were on today. There were a couple of guest beers too. Keen to try a local beer first up, I went for a Leeds Brewery “Yorkshire Gold” (4%) followed by a “Leeds Pale” (3.8%) from the same brewer. I struggled to tell them apart if I’m honest. Our next stop was the Cross Keys, a few doors up the street. I liked this pub immediately. Owned by the North Bar group, which also runs several other bars and a brewery in the city, this pub is spacious yet cosy. 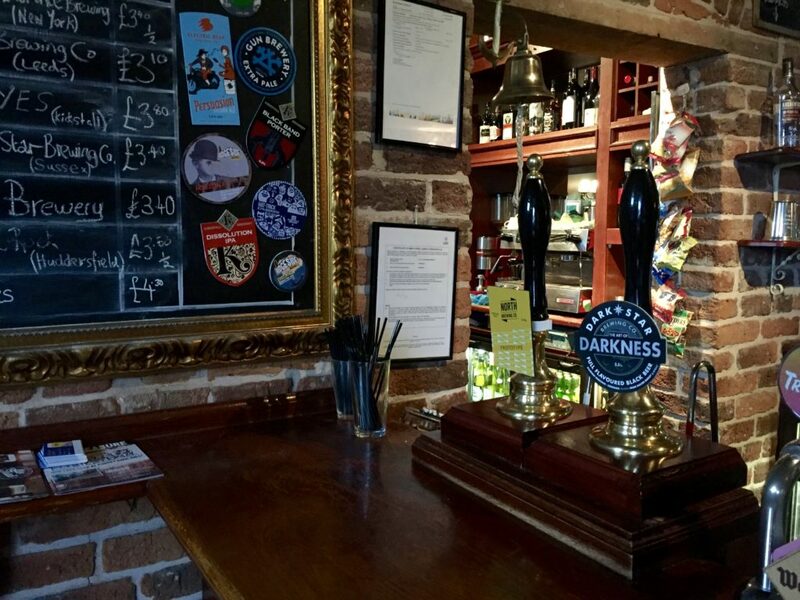 It has a great range of beers on cask and keg and by the bottle. With its mix of exposed brickwork, timber beams and plush decor, it was a lovely place to shelter from the rain, which was now bucketing down. My chosen beer here was the North Bar Group’s own brew, “Prototype” (3.8%), a refreshing easy-drinking pale ale. Then I went for a beer from a brewery I’m more used to seeing on the south coast, a Dark Star Brewing “Art of Darkness” (3.5%). This malty beer went down a treat after we nabbed a seat by the woodburner to dry off. 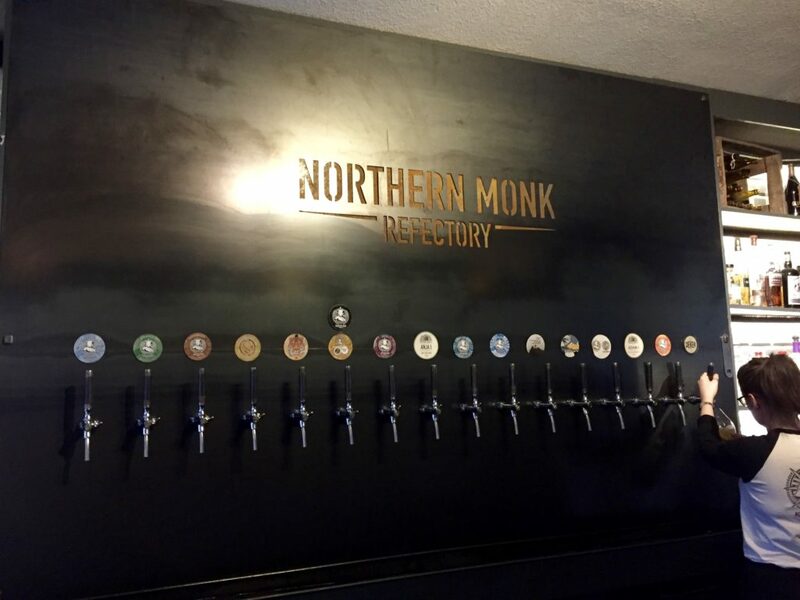 One of the reasons I’d steered our little group to this end of town was to check out the Northern Monk Refectory, a place I’d heard lots of good things about. We headed back out into the rain to go there now. 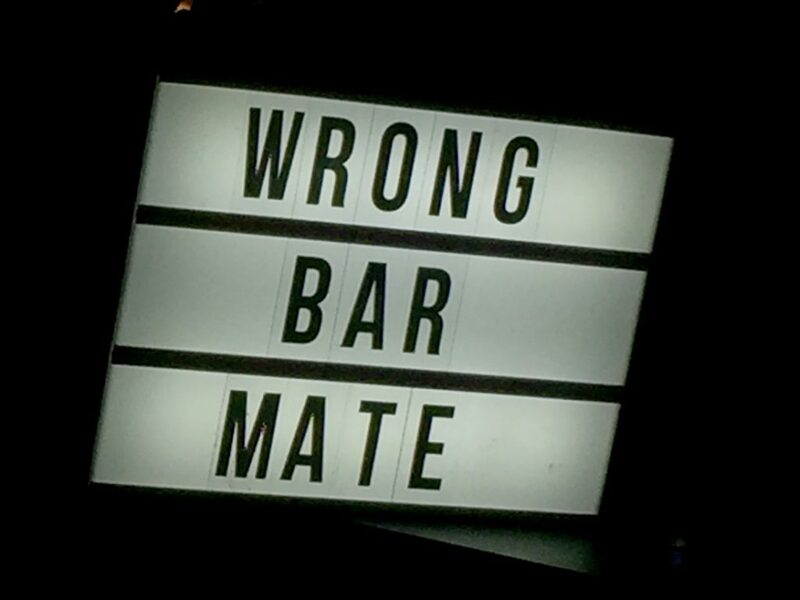 This bar, if you can label it as such, reminded me a lot of Gotham West Market in New York. 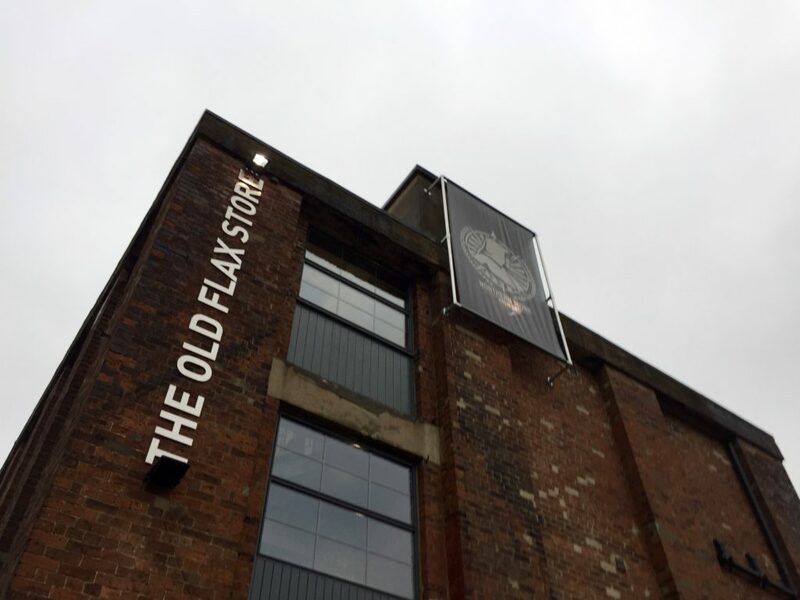 In a converted flax mill up a quiet street, you’d miss it if you didn’t know what you were looking for. 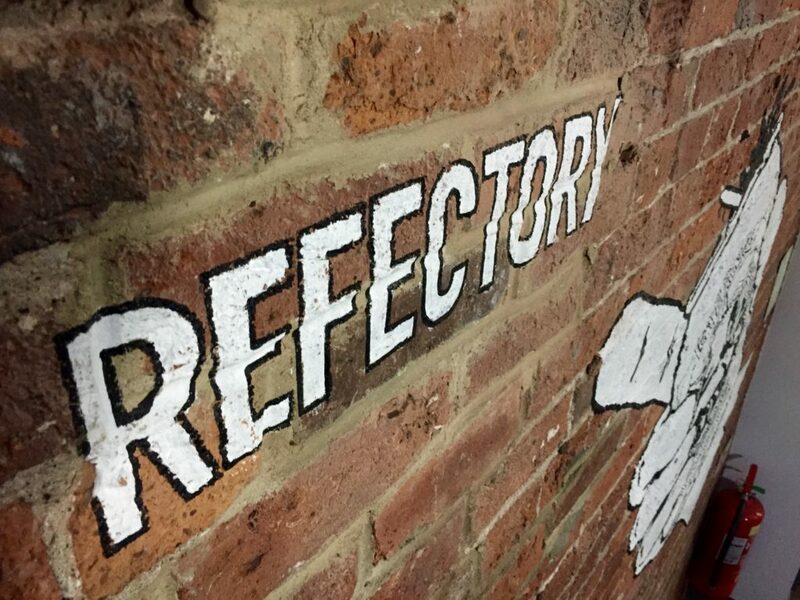 The refectory is on the top floor above the brewery. It was surprisingly busy compared to the quiet area that surrounds it. As you’d expect, most of the beers on offer here are brewed downstairs. Most are kegged. But there are a couple of hand pumps featuring some guest ales. With 18 draught beers to chose from, I’m not sure I chose as wisely as I could have and probably should have asked for a bit of help from the staff. My first choice was “Eternal” (4.1%), a session IPA. I followed that with “Striding Edge” (3%). I found these a bit too fizzy for my liking, but I’m still pretty new to keg beers. Striding Edge is part of Northern Monk’s “Patrons Project“. This is an initiative that encourages collaboration with people in the local community. The brewery created this beer – named after a Lake District mountain – with fell runner, Ricky Lightfoot. At 3%, it’s the type of beer you could reach for after a long run. Meanwhile, Robbie ordered some pickled onions and pork scratchings from the bar to keep him going until tea (or do they call it dinner up here?). I helped myself to a few and they were delicious. 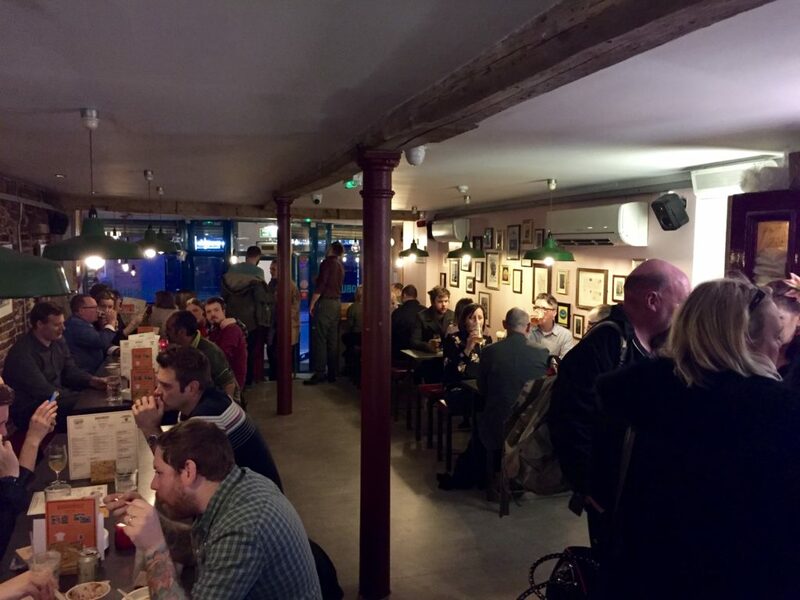 As it happens, we didn’t have to wait too long until dinner because our next stop – Candlebar at Granary Wharf – not only offers a great selection of craft beer but wood-fired pizzas too. The bar is named after the Candle House tower, in which it sits. It’s also a pizza toss from the canal and Robbie’s boat, which meant he could pop back to throw some coal on the fire on the way over. We arrived around 5.45 so it was getting busy with folk heading out for a drink after work. Luckily we found a great spot at the end of the counter where we could order our drinks and food without moving from our stools. Like the Cross Keys and Northern Monk, there was an impressive selection of beers available here with several hand pumps serving cask ale and 15 or so keg lines behind the bar. The gin menu looked pretty special too. We each had a Rat Brewery “Rat Against the Machine” (7%) on keg as we perused the pizza menu. Brewed in nearby Huddersfield – another Yorkshire town with a great reputation for its beer and ale – this was citrusy and a lot more distinctive than the other beers I’d tried so far today. 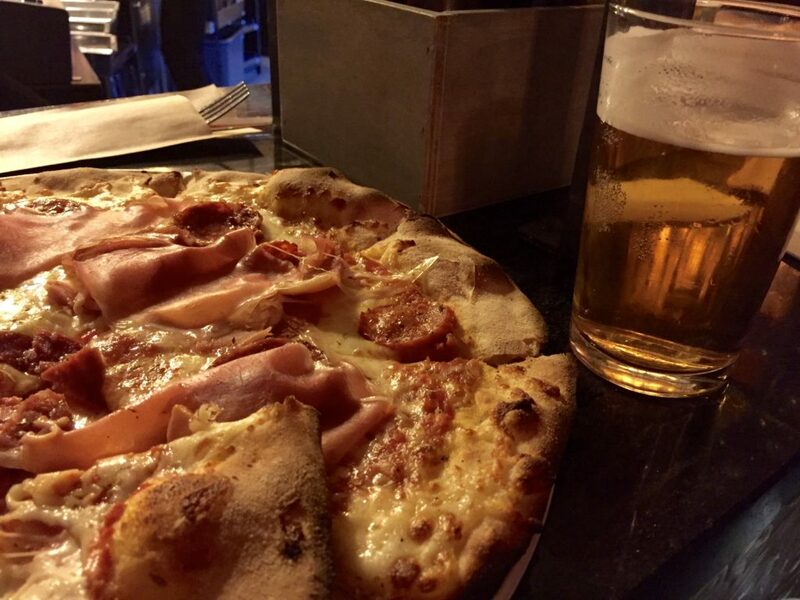 The beer was OK; the pizza, with its rich tomato sauce and smoky base, amazing. Candlebar is definitely worth a visit if you like your pizza. Next we decided to head to the north side of the river. This took us past a few more bars and restaurants through a man-made tunnel complex called “Dark Arches” under the train station. 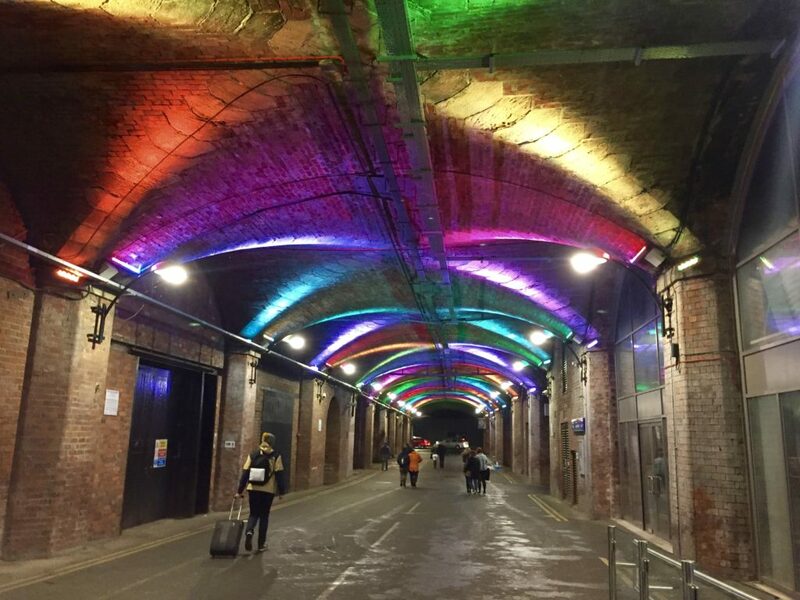 With its coloured lighting in the ceiling and spruced up brickwork, the Dark Arches makes a surprisingly pleasant throughfare. The sound of the River Aire gushing underneath the main walkway adds to the unusual atmosphere. Our destination on the north side of the station was Tapped, a brew pub where you can sit alongside the fermenters while you sip your beer. 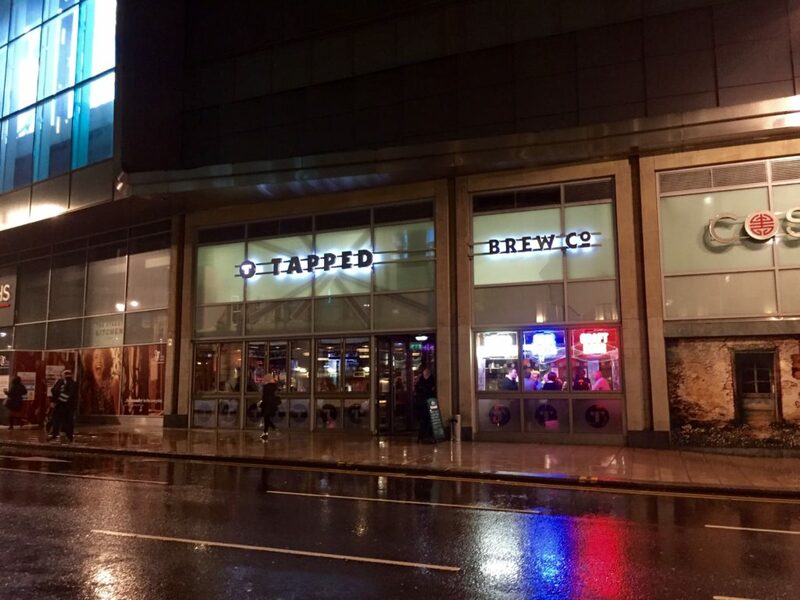 There are 27 draught beers available at Tapped, including 13 cask ales. There’s bottled beer and beer-dough pizzas too. Tapped is set out more like an American diner than a pub with a variety of bar seating, tables and chairs and booths and bright lighting. Like the Northern Monk Refectory and Candlebar, it has a modern feel. It was pretty busy at the bar tonight so we decided to only stop for one. I chose another lighter beer, a “Bishop’s Farewell” (4.5%) by Peterborough’s Oakham Ales. As with a lot of the beers I’d sampled so far, it was nice but not particularly memorable. I’d hardly been adventurous in my choice of beer styles today though. So maybe I only had myself to blame. Earlier in Candlebar, full of energy from the day’s first drinks, we’d been plotting a big night out. Now, after an early start and the inevitable pizza coma, we were flagging. So we finished off the evening with some shorts in a couple of Robbie’s favourite bars from his time so far in Leeds – Bad Apples and Santiago’s. Bad Apples is a tidy rock and metal bar with a friendly, mixed crowd. 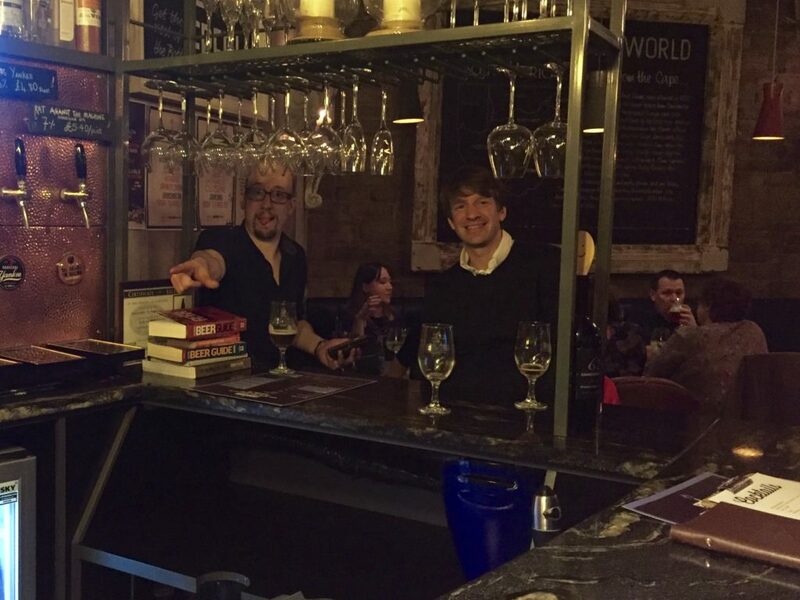 There’s no craft beers here, highlighted by the Brewdog-style sign behind the bar that proclaims, “Wrong bar mate”. But there’s a good selection of other drinks including cocktails. We were just glad to wake ourselves up with a couple of JD and Cokes. However, most come to Santiago’s to see live music on the first floor of the bar. This is what we’d have done had we a bit more energy. With a full day ahead of us tomorrow to check out more of the city’s craft beer pubs, we decided to call it a night early. Jamie – who normally has a toddler to attend to – and I – who normally has a dog to walk – woke around 7am. Hence we were back on the streets early, this time in search of breakfast rather than beer. Many of the breakfast cafes on the route from our hotel to the city centre are closed on weekends. So we ended up heading to the centre itself for a wander so we could pick somewhere out. In the end, we walked around for a couple of hours, rediscovering the bearings we lost after the first couple of beers last night. Leeds has an attractive city centre. There’s loads of tallish buildings lining the streets and a smattering of old shopping arcades. Even the city’s newest shopping centre, Trinity, has a sympathetic design. It was in one of the city’s little shopping arcades we found a spot for breakfast, which was now at risk of becoming brunch on account of the time we’d spent wandering the streets. 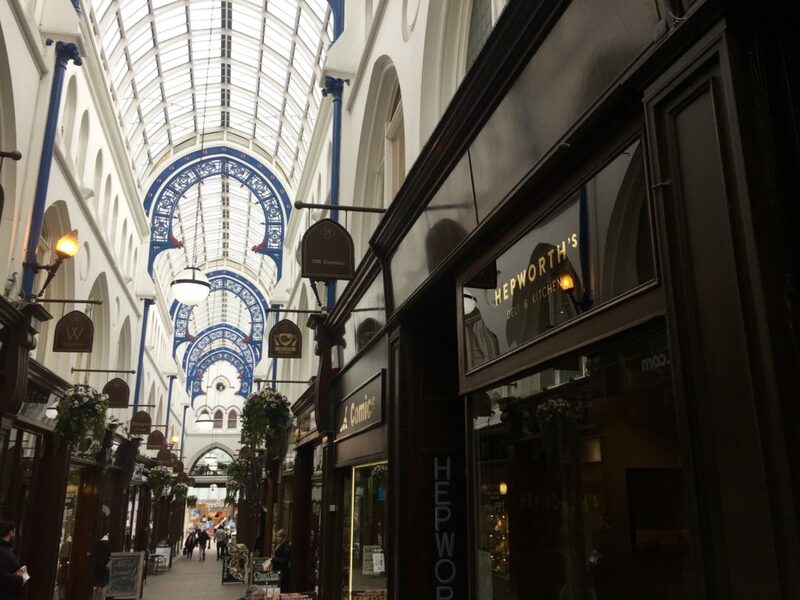 The place we ended up at was Hepworth’s Deli and Kitchen in the Thornton Arcade. Hepworth’s is a cosy little place squished next to a comic store. It’s modern, with a few little details that hark back to the cafe’s long past as a shop. The varied breakfast menu includes everything from eggs royale, to buttermilk pancakes, croissants and mushroom benedict. 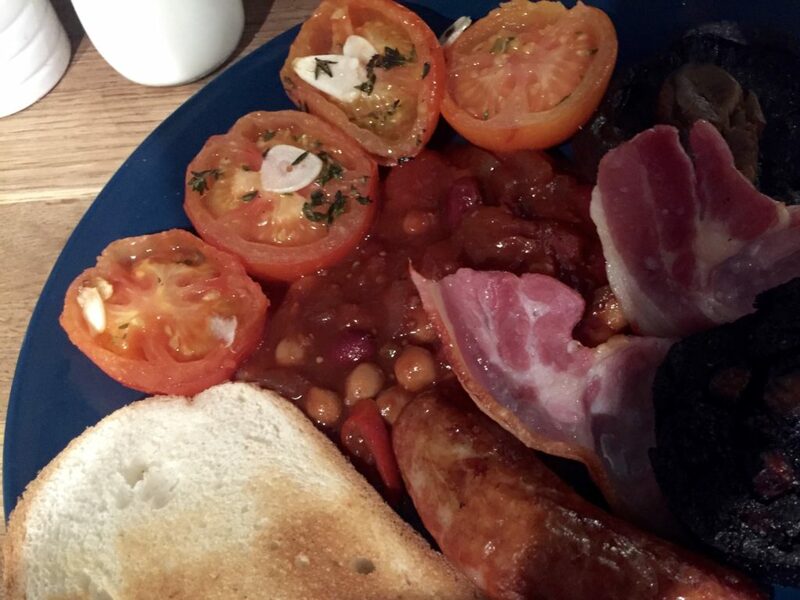 But, a cooked breakfast (£8) was always on the cards today. So that’s what we ordered; mine with extra tomato because I don’t like egg (I know, I know). 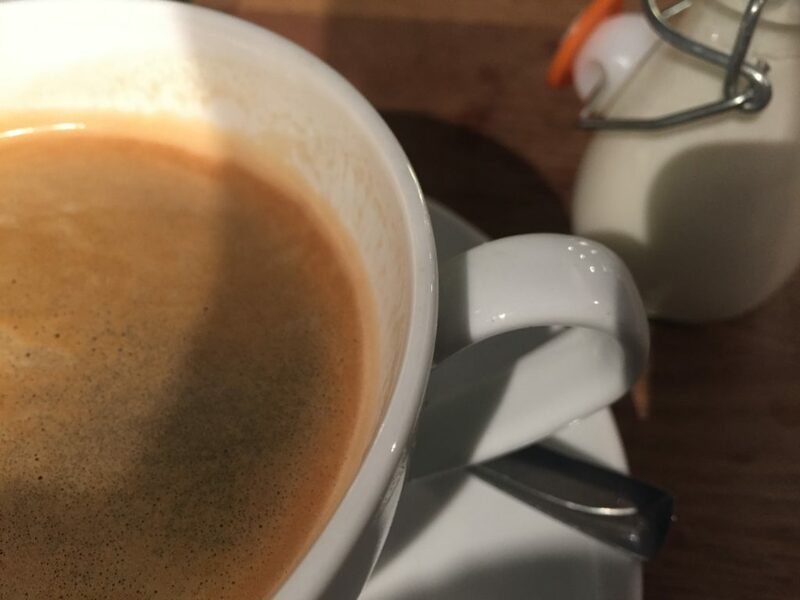 I also had a lovely, fresh-tasting Americano (anyone notice how hard it is to get a decent coffee these days?) while Jamie had some kind of superberryjuicesmoothie concoction to ease his hangover. My breakfast was rather tasty and exactly what I needed. Special mention goes to the rich, homemade baked beans. A couple of shops down from Hepworth’s is Tall Boys Beer Market. As the name suggests, this is a beer shop. I triples up as a craft beer bar and coffee shop. Downstairs the shop sells loads of bottled beers and draught beers to take away as well as coffee, sandwiches, bread and a few other snacks. Upstairs is a cafe. It’s a neat place and I would have been tempted to buy a few bottles if I didn’t have to get them home on the train. 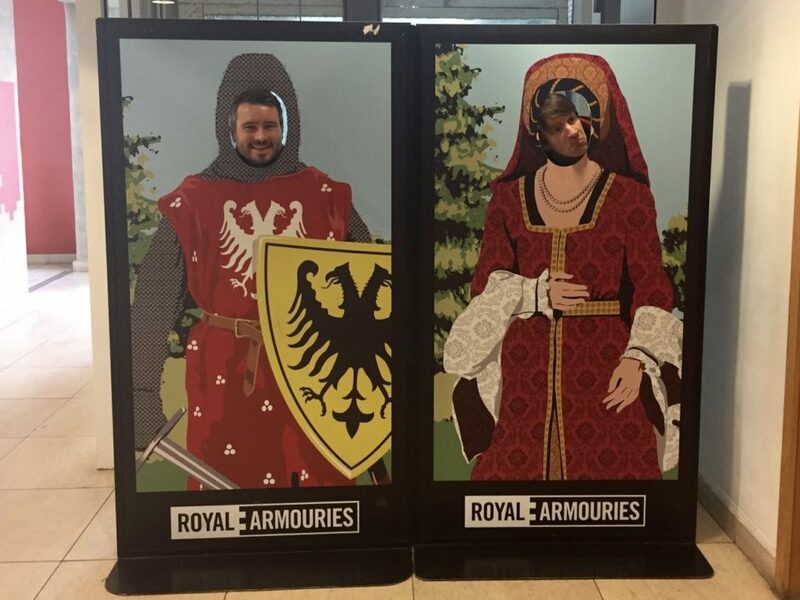 With Robbie in tow following our encounter with the cynical fisherman on the canal bank, we decided to check out what is apparently Leeds’ number one tourist attraction – the free Royal Armouries Museum at Leeds Dock. Originally built in 1843, the dock was part of another regeneration programme in the city in the 90s and early 00s. The museum is the focal point of the redevelopment. But there’s apartments, retail units and food and drink outlets too. It’s a fair trek from the city centre (around a 20-minute walk). So there’s usually a free water taxi from Granary Wharf. Unfortunately, it wasn’t running today – boo. As I approach middle age, I’ve become quite interested in the history of the second world war. 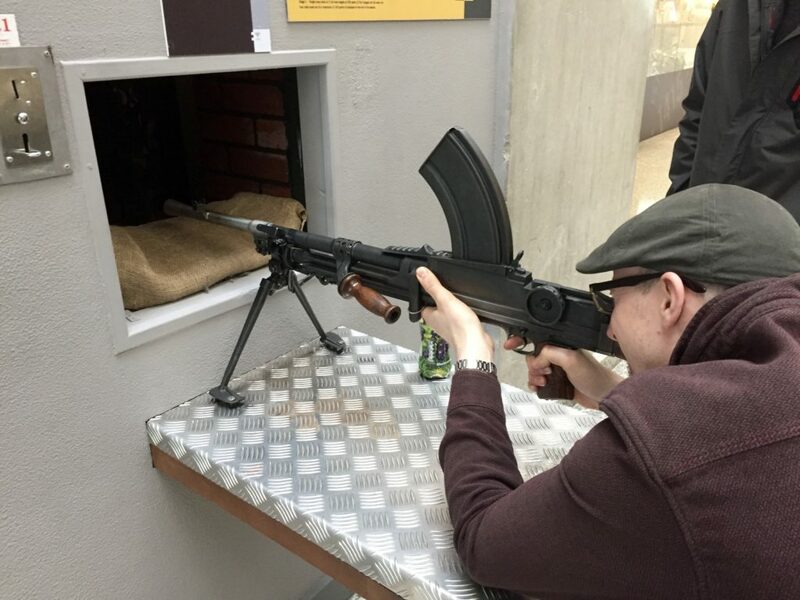 Unfortunately – despite the deactivated Bren machine gun in the museum’s entrance hall – modern warfare was about the only element missing from the six galleries charting the history of arms and armour. 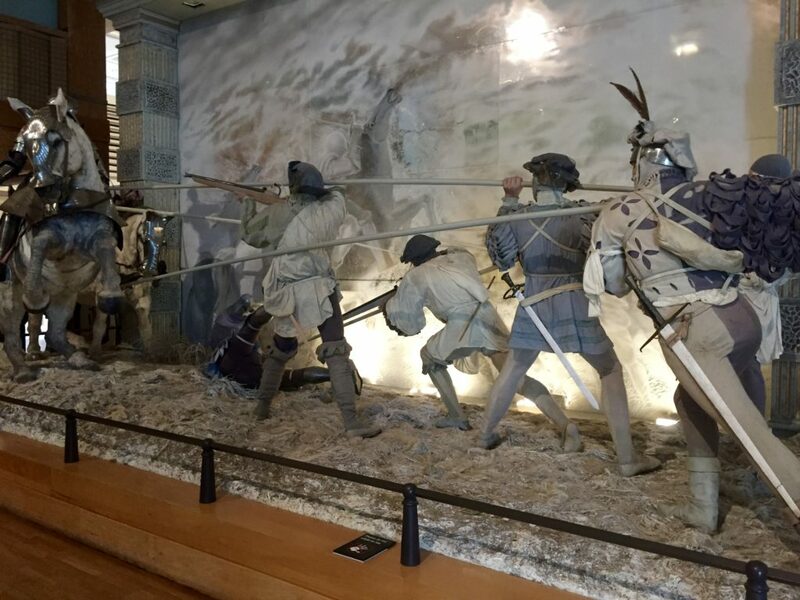 The museum covers almost every other type of weaponry though, from the simple spears our ancestors used for hunting thousands of years ago, to swords and chain mail from the middle ages, to guns seized recently by West Yorkshire police. There are some great views up the River Aire towards the city from the upper floors of the museum, too. Following our museum visit, we popped into Dock 29 for a hot chocolate. 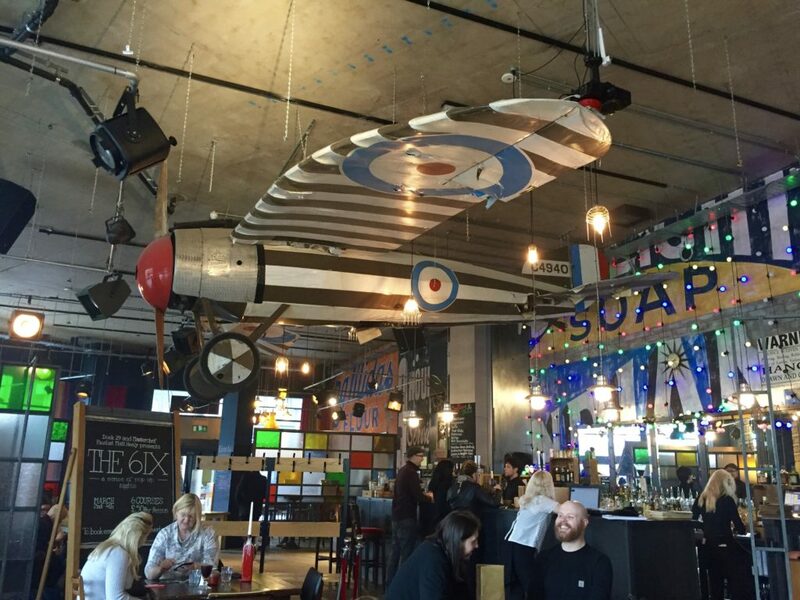 This bar/cafe is worth a visit to see that it’s possible to suspend a full-size aeroplane from a ceiling. The hot chocolate wasn’t bad either. 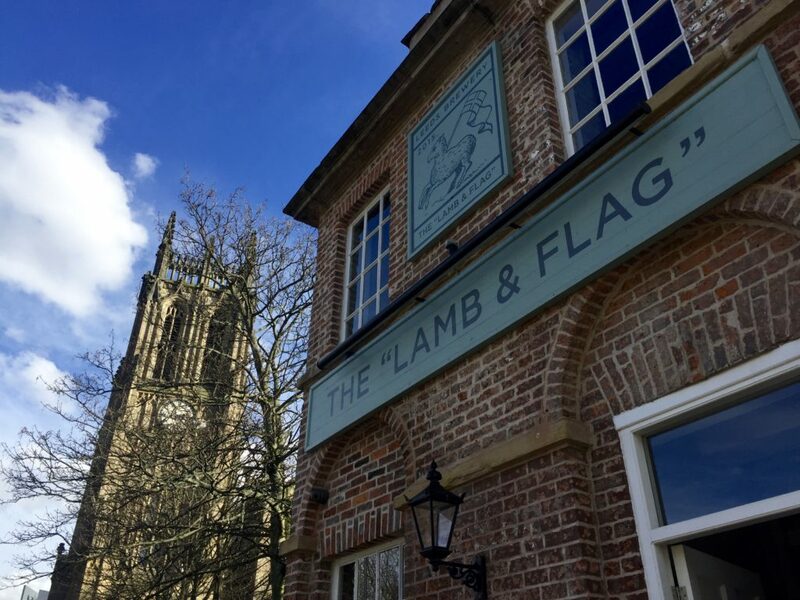 Then we wandered back towards the city to the Lamb and Flag pub, which is bang in front of Leeds Minster. Like yesterday’s first pub, the Midnight Bell, the Lamb is a Leeds Brewery establishment. So the beers and some of the decor were familiar. I ordered a Treeboom Brewery “Tambourine Man” (3.9%) golden ale before we took a seat on the first-floor balcony overlooking the daffs in the churchyard. By now, the sun was shining and a few other hardy souls joined us in the fresh, early-March air. After our quick drink at the Lamb, we decided to head up to the northern end of the city centre to check out a few bars there. 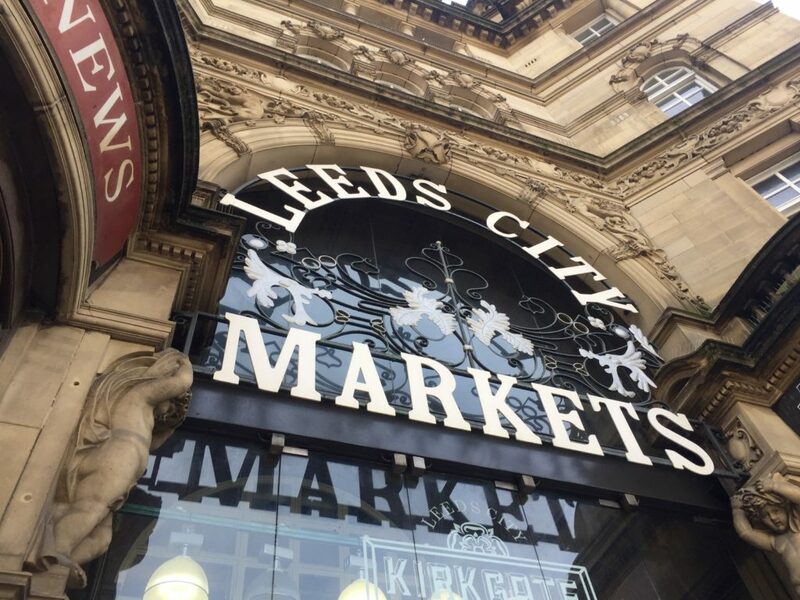 On the way, we passed through Kirkgate Market, one of the largest indoor markets in Europe. There are more than 170 stalls in this market, many of them offering food and snacks. This makes it a handy stop off between pubs. After our late breakfast, I wasn’t quite ready for another meal. But I did treat myself to a banana and Nutella crepe (£4.50) from The Crepe Hut. I was still munching on it when we reached our next pub, North Bar at New Briggate. Nowadays, craft beer bars and micropubs are popping up everywhere. North Bar, however, was well ahead of its time, opening in 1997. The beer choice here is vast. Today there were four real ales available plus 14 keg beers. There are stacks of bottles and cans too. By the looks of the crowd this afternoon, the bar attracts a mix of trendy craft beer types and archetypal ale lovers. 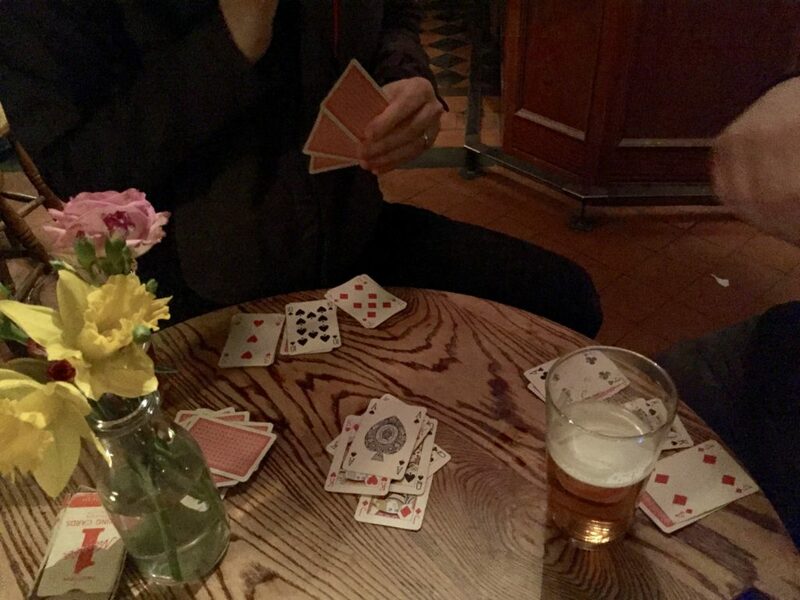 Once we’d ordered our beers – I had a Titanic “Engine Room” (4.6%) on cask – we were lucky to grab a little table near the entrance of this narrow bar for a few games of “Shithead”. I lost – every game. It was while I was on this losing streak that it finally occurred to me why I wasn’t enjoying many of the cask beers I’d tried so far this weekend – the sparkler. See, a sparkler is a small plastic device attached to the nozzle of the beer pump. It has loads of little holes in it. These create tiny gas bubbles as your beer comes out of the pump creating a creamier pint that ends up with a frothier head. Generally, the further north you go in England the more likely you are to see sparklers attached to beer pumps. Some say sparklers enhance beer, others think it ruins it. One thing’s for sure, it definitely affects the beer’s mouthfeel – negatively, in my opinion. So for our next drink – a return to North Brewing’s “Prototype” pale ale, we asked the barman to remove the sparkler from the pump. And (say it quietly ’round ‘ere) he said he generally prefers his beers without a sparkler too. There was a fine atmosphere in North Bar and plenty more beers for us to work through. But, with a schedule to keep if we were going to sample more bars and pubs this afternoon, we headed up to nearby Belgrave Music Hall. Unfortunately though, this canteen/bar/restaurant/gig venue spread over three floors. was a tad busy for our ageing bodies. So we ducked out of the din and headed instead to the Parkside Tavern over on Merrion Street. The Parkside Tavern, with its mock Tudor frontage and flagstone floors, has all the ingredients of a cosy, old-fashioned pub. It’s not. 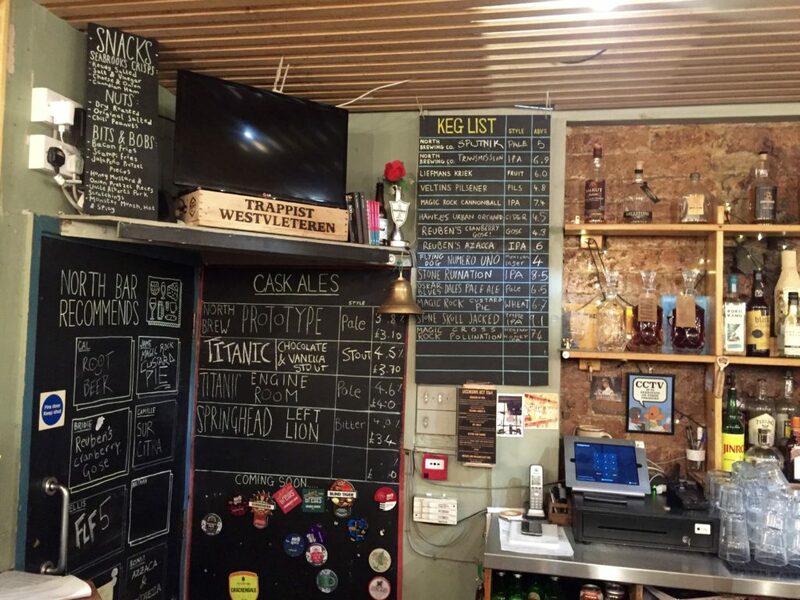 But it’s a great place to come if you want to play pool while sampling a great range of beers – there are pool tables to rent by the half-hour and a decent choice of four cask ales and eight kegged craft beers. 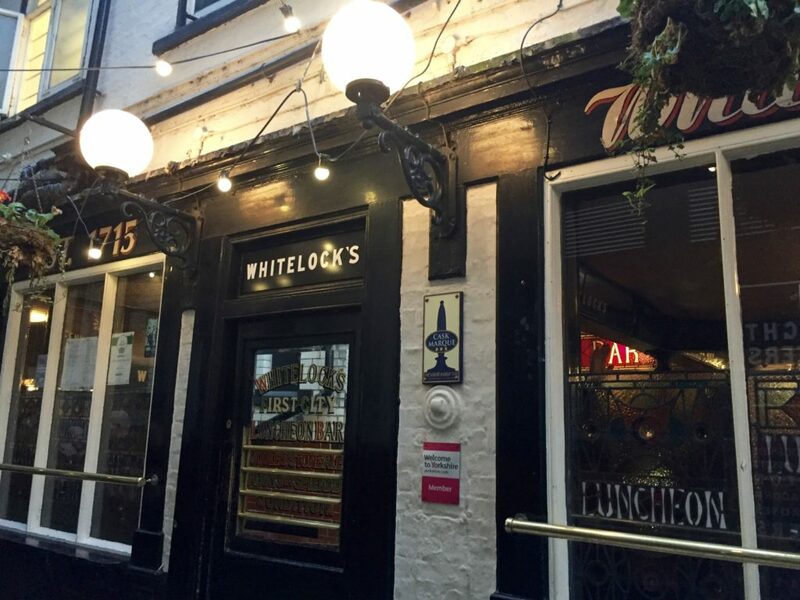 Our aim on leaving the Parkside Tavern was to head to Whitelock’s Ale House. Dating from the 1700s, this is one of the oldest pubs in the city. It’s sandwiched down an alley off the main shopping streets. But, the pub was packed. And there was little hope of finding somewhere to stand, nevermind a spot at the all-brass bar. 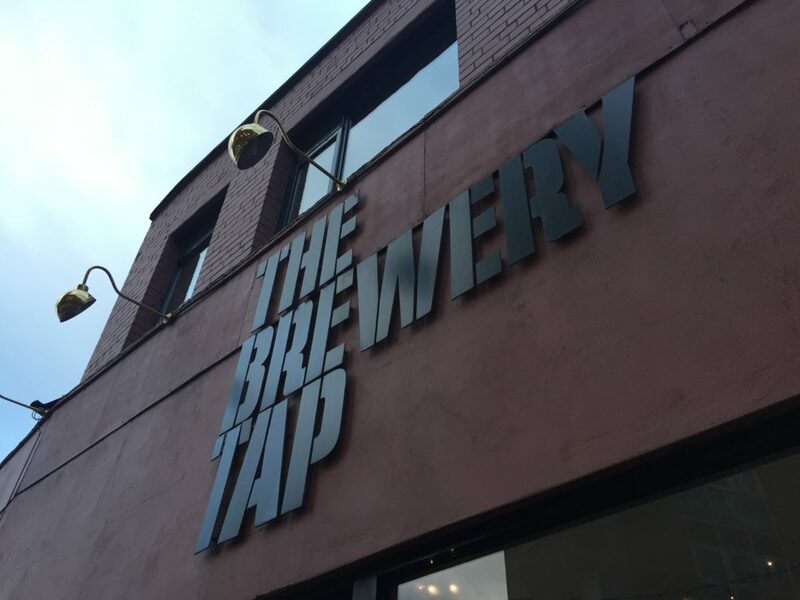 So, following a quick admiration of what we could see over people’s heads of the pub’s stunning interior, we made our way back out onto the streets and onto the Brewery Tap. This is the tap room for Leeds Brewery, owner of the previously visited Midnight Bell and Lamb and Flag. There’s a microbrewery upstairs. The bar does guest beers from other breweries too. It was pretty busy downstairs. 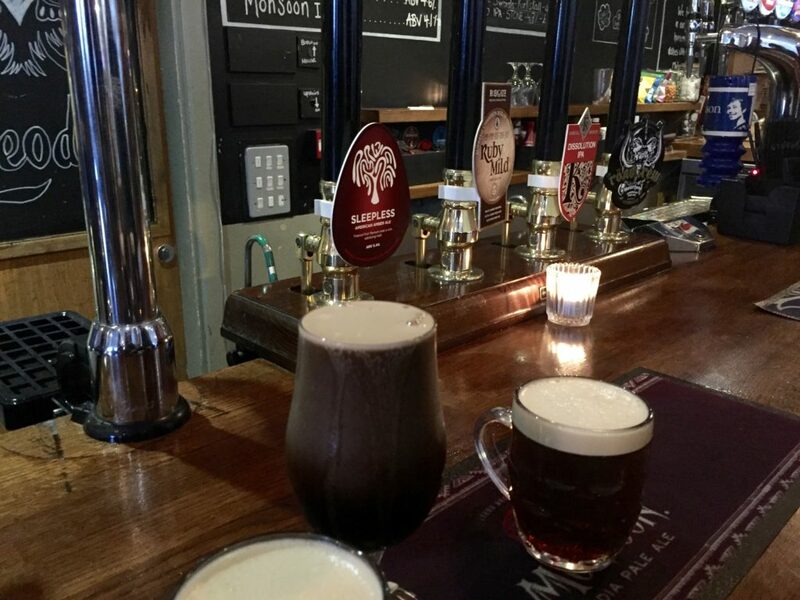 So we took our beers – a Rudgate “Ruby Mild” (4.4%) for me this time – to the first floor. Like the Lamb and Flag, there’s a little balcony on the first floor at the Brewery Tap. But this one overlooks one end of the railway station rather than a 19th-century church. With no lunch in our bellies, we were feeling pretty famished. So we supped up pretty sharpish and moved around the corner to Bundobust. Bundobust serves Indian food. But it’s a little different to your run-of-the-mill curry house. First up, there’s no everyday Indian lagers like Kingfisher or Cobra to have with your curry here. 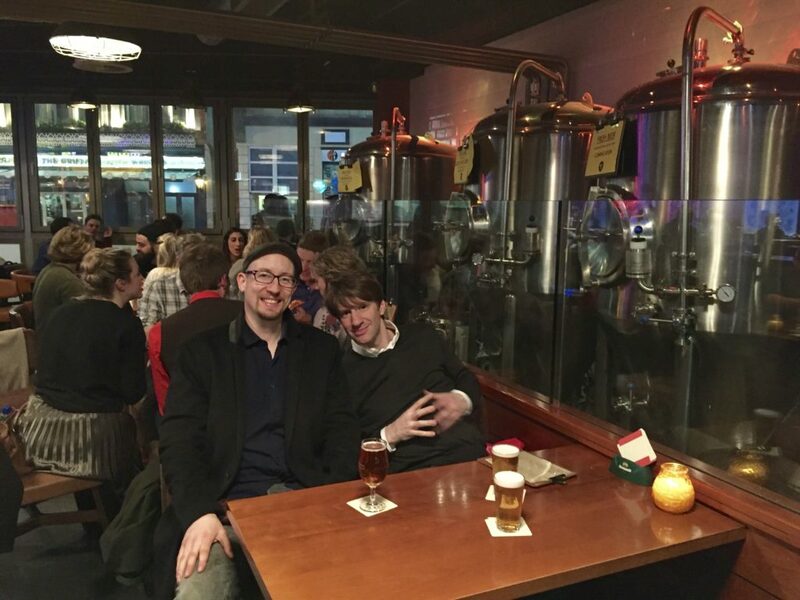 Instead, there’s an eclectic selection of mainly keg craft beers and pilsners. So it’s worth popping in even if you’re not hungry. 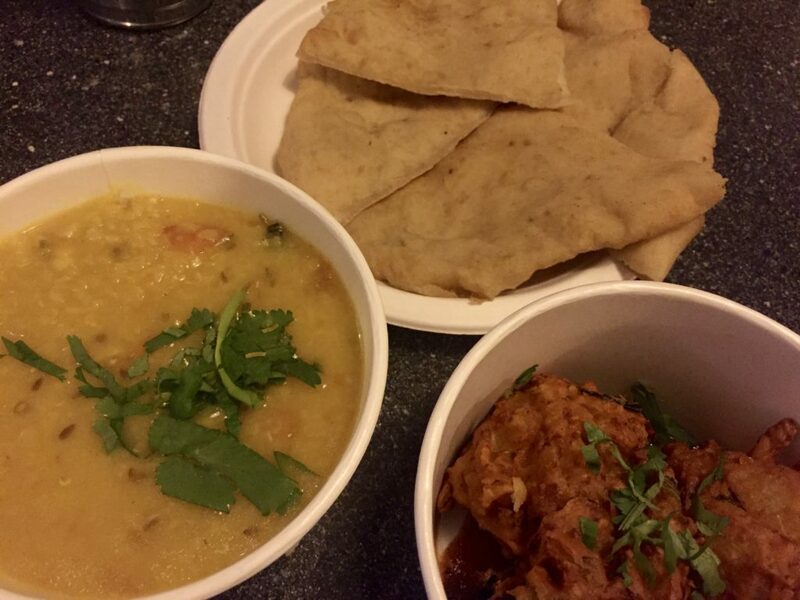 Secondly, Bundobust’s menu focuses on an all-vegetarian selection of Indian “street food”. This comes with wooden cutlery and on compostable plates and bowls. Dishes are small and priced as such. So you can try 2-3 in one sitting. It seemed very popular and we had to wait a while for a spot on the long benches that line either side of this low-ceilinged bar/restaurant. Beer-wise, I quite fancied sampling the Danish “Bale Ale” (named after Christian, not Gareth). But with a busy-looking bar and a longer-lasting pint at a steep £6.50 (special hops, apparently), I settled on a pint of Berliner Pilsner (5%) from the Berliner-Kindl-Schultheiss-Brauerei in Germany. The menu was more mouth-watering than eye-watering. I plumped for “Tarka Dhal and Rice” (£6) and “Onion Gobi Bhaji Bhaji” (£4) plus a side dish of “Bhatura” (£1), a type of flatbread. Once we’d placed our food order at the bar, we didn’t have to wait long for it to arrive. My dhal had a soupy quality about it, but was delicious nevertheless and I made sure I used my flatbread to get the last of it out of my paper bowl. The bhajis, which contained onion, cauliflower and spinach and were accompanied by a dipping chutney, were top-notch too. Overall, it was a much lighter meal than your typical curry. That’s why the greedy part of me, which often rears itself after a few beers, wasn’t quite satisfied. So I’d recommend ordering three dishes. Or, going to Bundobust before you’ve had a few drinks, if anything to properly savour the food on offer and not stuff it down your gob as I did. After two days meandering around Leeds pubs and bars we were growing weary (I covered more than 40,000 steps in two days according to the app on my phone). So we decided to head back through the Dark Arches to finish off the day in our favourite pub of the weekend – the Cross Keys in Holbeck. The Keys was much busier than yesterday afternoon. But we still managed to nab the table by the woodburner. I lost plenty more games of cards as I finally found my more adventurous side with a pint of flavourful Hopf “Helle Weisse” (5.3%). 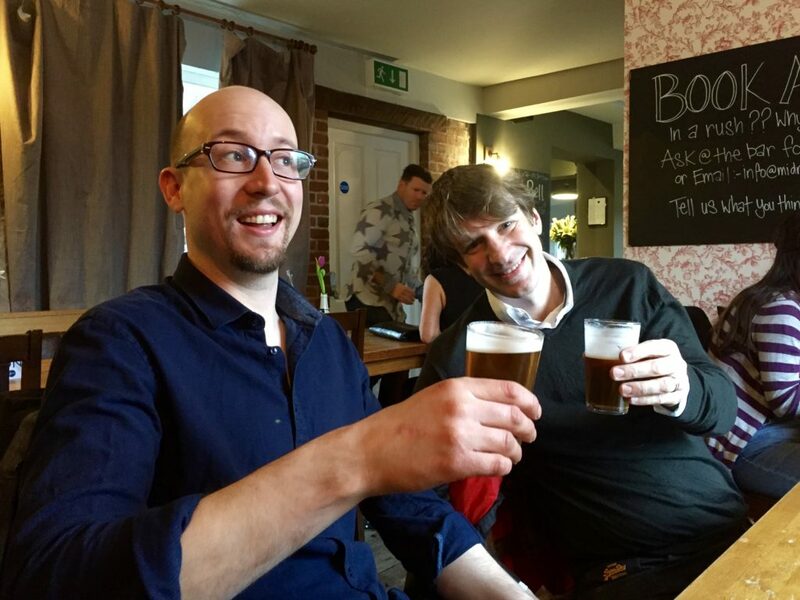 This pretty much highlighted where I’d gone wrong this weekend – with so many great beers and beer styles at my disposal, I played it safe with pale UK-style ales far too much. It’s a pity I had this epiphany so late into our trip. 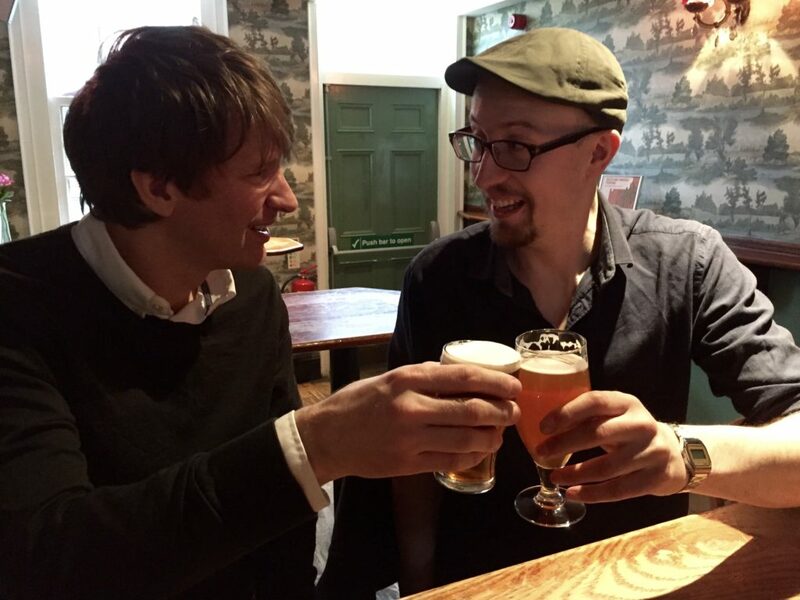 I still had a great time exploring Leeds’ craft beer bars and pubs. 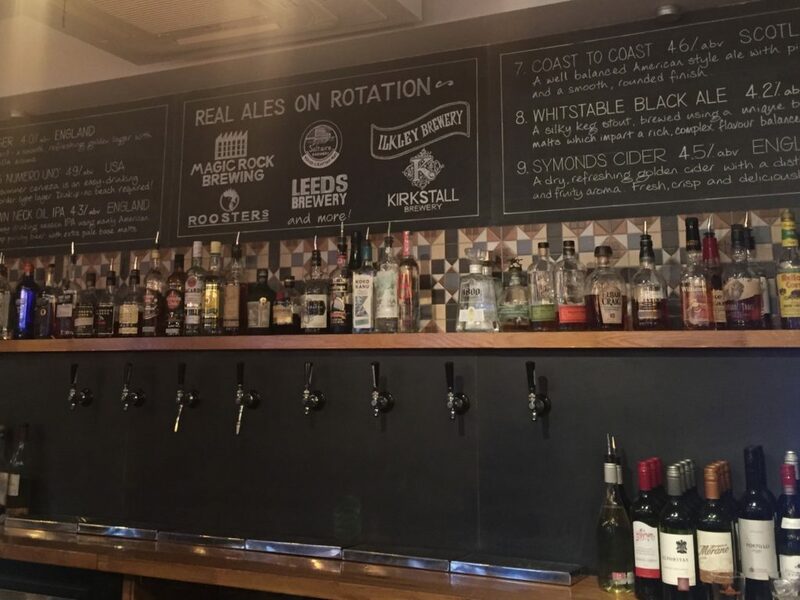 And now, after sampling 12 of the many pubs and bars Leeds has to offer (seriously, there are loads), I can see where the fisherman we met on the banks of the canal was coming from – there does seem to be more modern craft beer bars than traditional real ale pubs in the city centre. 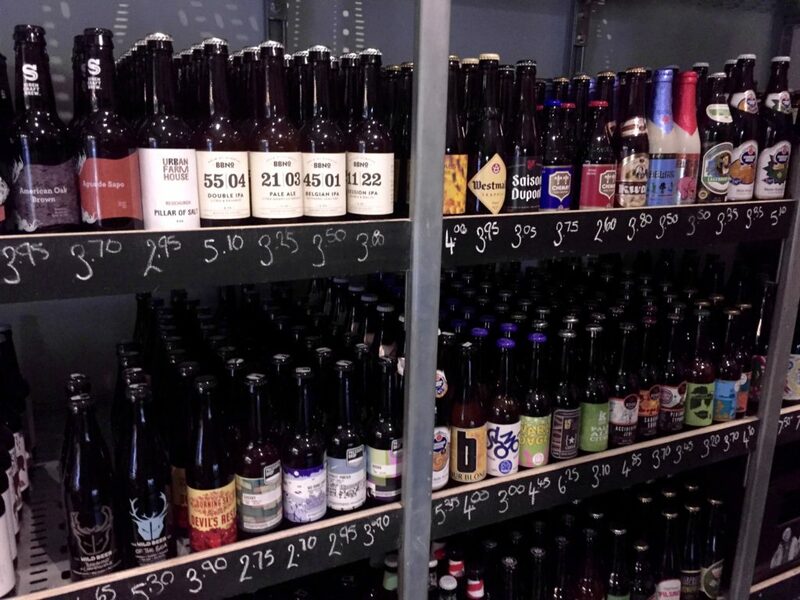 Not that you’ll struggle to find many fine beers in Leeds. Just take off that sparkler before your pour my beer please landlord. 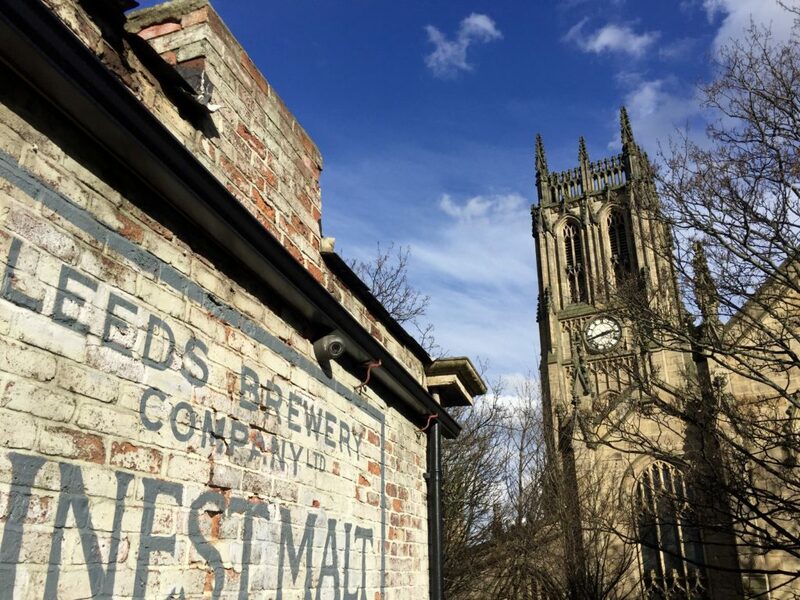 Have you been to any of the craft beer bars or real ale pubs in Leeds? Which are your favourite and what pubs and bars did we miss? Info: We travelled to Leeds on Virgin Trains booked through TheTrainline, and stayed at the Leeds City Centre Premier Inn (we didn’t fancy the floor on Robbie’s boat this time). Some of the pubs and bars we didn’t make it to are: The Grove Inn, Archies, The Hop, The Head of Steam, Baht’ap and Friends of Ham. I’m sure there are many more great places I haven’t mentioned, too.